On day two of New York Fashion week, Pyer Moss used the runway to make a bold Statement, #BlackLivesMatter. Thursday night Kerby Jean-Raymond, the founder and head designer of Pyer Moss, executed a presentation that few will ever forget. As an intro to his show he presented a short film about the many cases of police brutality against unarmed Black people here in the United States. The 15 minute clip shows recordings of Eric Garner's death, and other lesser known but highly problematic police brutality cases. "For as long as I have this platform and for as long as people are going to listen to me -- I'm going to take a stand on something and this is something that is important to me," Jean-Raymond told The Huffington Post, who also made waves after creating the "They Have Names" t-shirt in January. The jaw dropping imagery, is also accompanied by commentary with people impacted by these horrid acts. Emerald Garner, the daughter of the late Eric Garner, and Nicole Bell, the fiance of the late Sean Bell were among some of the family members interviewed. The subject matter is one that Kerby Jean-Raymond has experienced while growing up in New York City. He almost didn't show any clothing. According to the Huffington "I wasn't even going to show the collection. I wasn't 100% sold on showing the collection. I wanted to just show the video, open the doors and let everyone out." 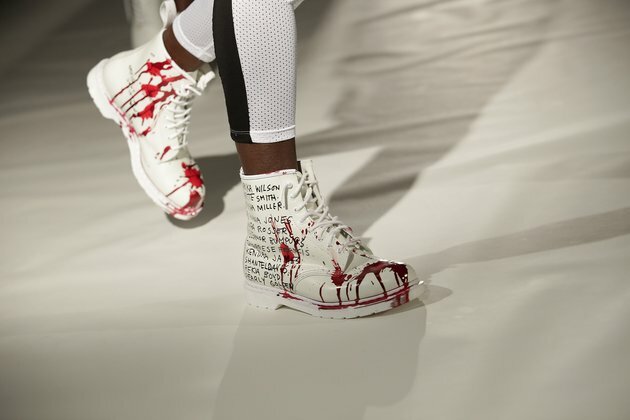 Fortunately he did, his line was sleek, edgy sportswear with white leather white worker boots emblazoned with the names of black women that were killed by police and red paint to look like splattered blood. 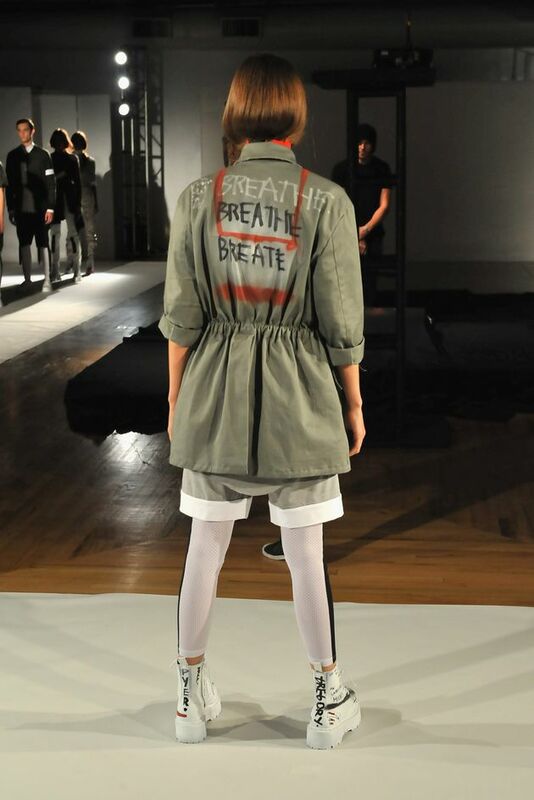 What do you think about the fashion world being a platform for activism? Leave your thoughts in the comment section below!